Thought I would make a quick post about my bike check. "Ya know I have had a lot of bikes over the years but never really had one that I really loved when I ride it. Most of the bikes that I have had have always been built from all the parts that I had laying around and not something that was built up the way I really wanted. 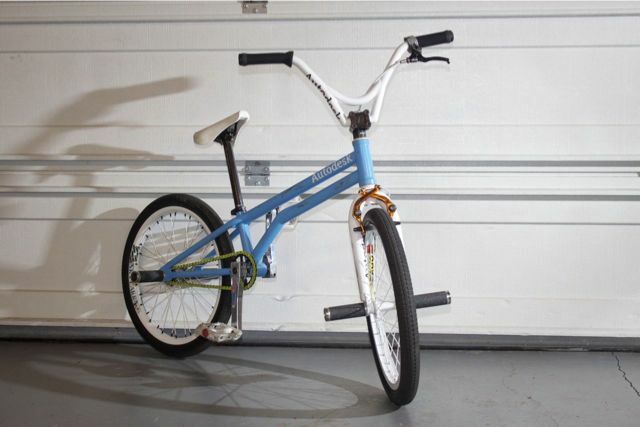 For me this is the bike that I have always wanted to build but just couldn’t because of one reason or another. When I pick up this bike and pedal off for my first combo I can’t help but smile. is that a sticker that says autodesk on your frame? I'm a designer (I design trucks for a living) and that just caught my eye... cool! and a very nice ride! Yeah I work for Autodesk as a product marketing manager. I'm a ex-CAD designer my self.